Planted herbs are a great addition to any household. Under the right conditions, they're easy to care for, they provide delicious additions to meals, and they're pleasant to look at. When space is limited though, you may want to consider growing herbs in the same pot or garden bed. Limited space aside, companion planting is a sustainable step towards a flourishing garden. Growing herbs together can promote the health and growth of your garden. Some plants can help to deter insects from their plant companions, provide them with rich soil and even enhance the flavour of their garden buddies. Be wary though, not all herbs can flourish when planted together. The first step to companion planting is matching your herbs' preferred conditions. A plant which prefers sandy, dry soil for example, should not be planted with a plant which prefers a rich, moist soil. Secondly, you should consider our herbs' compatibility. Some herbs simply don't get along and if planted together will not survive. Thirdly, it's vital to consider the spacing between your herbs. 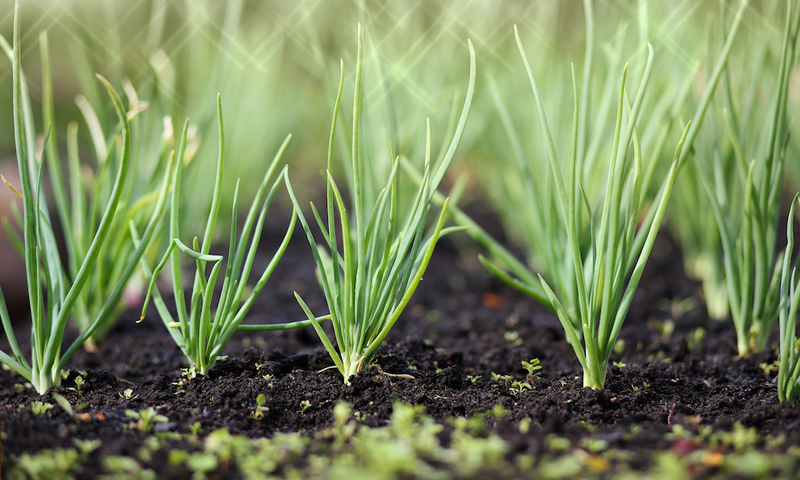 If herbs are planted too close together they will compete for the soil's nutrients. Here are 10 herbs which, if planted with the right soil buddies, are great for companion planting. 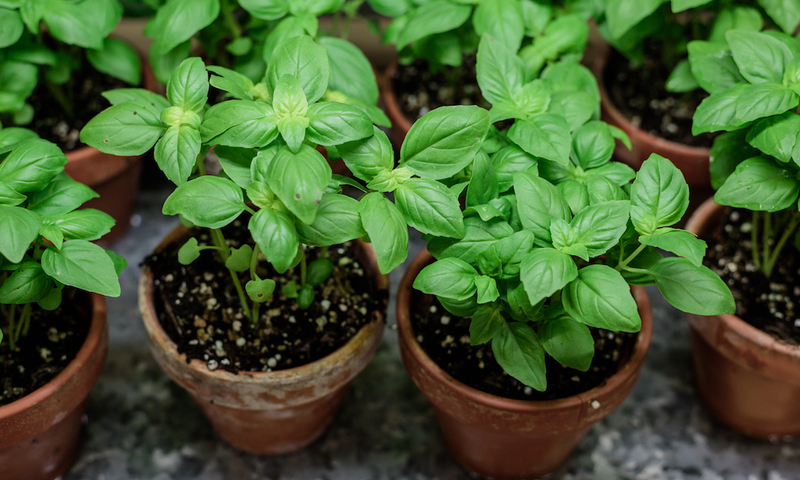 Basil is said to repel some harmful insects and mosquitos which is why some herbs can benefit greatly from being planted in a close proximity. Basil is a great companion to chilli, tomatoes, parsley and oregano but should not be planted with sage. Chamomile can help promote the health and growth of basil if planted in the same container or garden bed. Mint grows well with tomato and cabbage, however is known to be the enemy of parsley and should not be planted anywhere near the herb. Although difficult to grow from seed, when planted in the right conditions mint can flourish and even spread like a weed. Mint enjoys a partially lit environment and should be watered only once its soil has dried. If you don't want your mint to spread like wildfire, best to plant it in a pot instead of the garden. 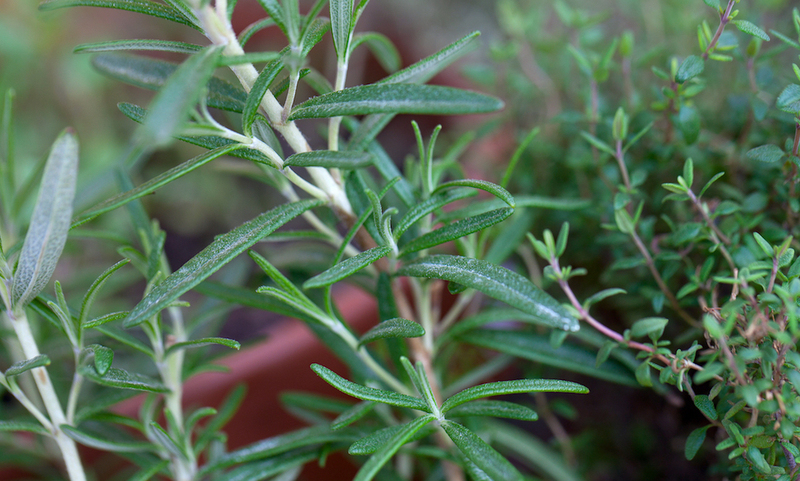 Similar to how they meld in a delicious stew, rosemary, sage and thyme can grow well together in the garden. Rosemary is quite resistant to poor soil conditions and is therefore relatively easy to maintain. After each watering its soil should be left to dry. Chives are very easy to grow and are known to repel insects such as aphids. They enjoy full sun and moist but well drained soil. They can be planted with most plants but particularly enjoy the company of mustard greens and carrots. Oregano is a fairly low maintenance plant to grow. It can flourish when planted alongside almost any other herb as long as they enjoy similar conditions. Oregano is said to benefit from being planted near basil, which helps to repel harmful insects. It likes partial to full sun and should be watered only once soil is dry. 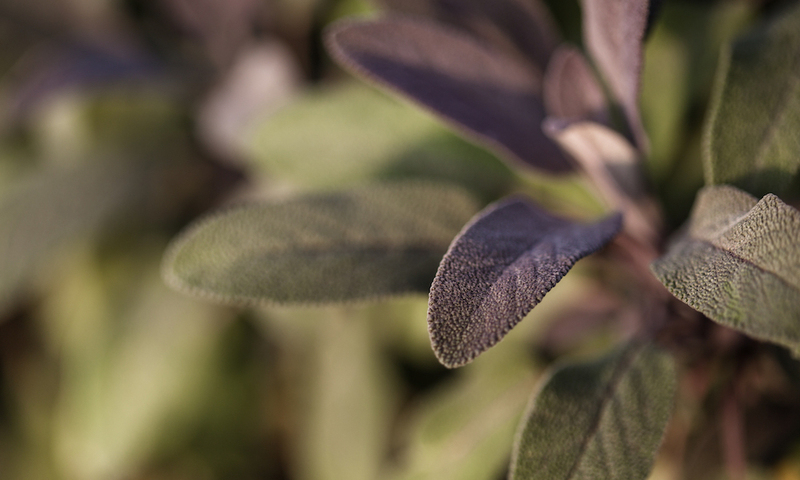 Although tolerant to shady environments, sage becomes most flavoursome when exposed to lots of sunlight. Sage likes sandy soil and is tolerant to dry conditions. As a result it should not be planted with herbs which prefer rich, fertile soil. Sage can grow well alongside tomatoes, carrots, thyme or rosemary. Parsley is versatile and really easy to grow. It can flourish alongside most plants, with tomatoes in particular making an excellent companion. Mint, however should not be planted with parsley. Parsley enjoys a full or partial sun environment and moist soil, although is also tolerant to drier conditions. Similar to parsley, coriander is relatively flexible and easy to grow. Coriander is known to attract beneficial insects and is a great companion to dill, anise or parsley. Coriander enjoys a humid, well lit environment however can struggle when exposed to too much direct sunlight. Coriander plants need plenty of water, though make sure your garden bed or pot has adequate drainage. Enjoying the same light and water conditions, rosemary and thyme are great garden companions. Thyme enjoys a sunny environment and is relatively drought-resistant. It should only be watered after its soil is completely dry. Companion planting is a great way to garden sustainably. Planting the right herbs together can help enhance the productivity of your crop. Companion planting takes up a lot less space than planting herbs in individual pots and it looks great!